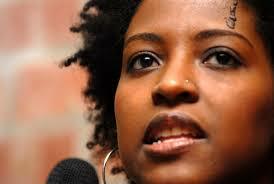 Ory Okolloh, a personal hero, has just won a spot on Time Magazine’s 100 Most Influential People list. My connection with Ory is through the Ushahidi online platform she co-founded. Ushahidi supports crowd-sourcing and crowd-mapping of citizen reports, and was used extensively in the Haiti crisis. Founded in the aftermath of the violent 2007 elections in Kenya that claimed over 1200 lives, Ushahidi is providing a platform for Translators without Borders‘ work to save lives by helping people communicate more effectively in a disaster. 17:51 Mar 06, 2013: PLZ HELP Youth at Huruma and Mathare, Nairobi are saying that they must burn the place…. During the 2013 elections in Kenya, Translators without Borders worked on the Ushahidi platform to translate messages like these, and 39,000 more, from 11 Kenya languages. With our local translation team managed by our very own Paul Warambo, the goal was to report incidents in real time to prevent loss of life. We’ll never know the full contribution of Ory Okolloh, Ushahidi technology or of Translators without Borders to Kenya in the spring of 2013, but we do know that the elections were relatively peaceful and considered a success. In 2014 Translators without Borders received a Technology for Good grant from Microsoft that will allow us to create an interface to facilitate translation in humanitarian disasters like Typhoon Haiyan in the Philippines. Aid groups, who already rely on Ushahidi, will be able to use our technology to translate urgent requests for help as soon as they come in. Ushahidi, as a tool for humanitarian aid, has been used in crises around the world. Today Ory Okolloh is working on transparency of governments in Africa through the Omidyar Network. Like I said, she’s one of my heroes.